Here is a rundown of any products I have in stock at any given time. Given the demands of my day job I do not accept orders ahead of time, I just sell what I’ve built. This also works better with the more experimental nature of what I do as we are always coming up with new designs and/or changing older ones. Feel free to contact me at spritzer@mjolnir-audio.com if you are interested in any item here. I will reply to every mail so if you haven’t received a reply within 24 hours then feel free to send me another email. Email gets lost all the time, it is flagged as spam or something like that. All prices in US dollars (USD). Here is a new, upgraded version of the PureBipolar I built to test where I want to take the design. This is a smaller and sleeker chassis using new amplifier boards, new mother board they plug into along with the GRLV power supply. The major changes with this new version are improved volume controls, normal TKD volume pot and a new gold plated teflon output socket. Some small changes here and there too but those are the major ones. Here is something I’ve been working on for a while, the Pure BiPolar or Dynalo Mk2. 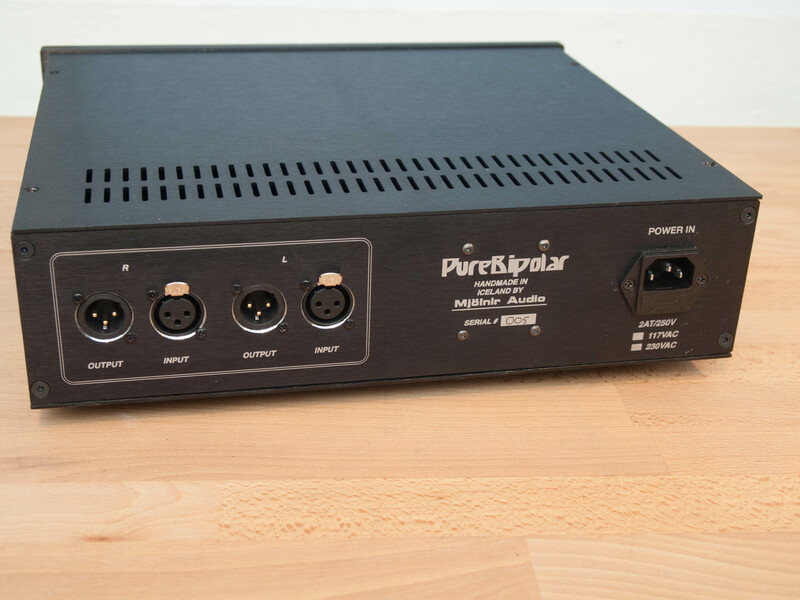 The Dynalo circuit has been used in a lot of amps over the years but as parts have been obsolete it was time to finally update it. The biggest difference is the input stage which is now “super symmetry” as Nelson Pass called it but it means it can take a single ended signal (RCA) and converts it to balanced without any extra circuitry. 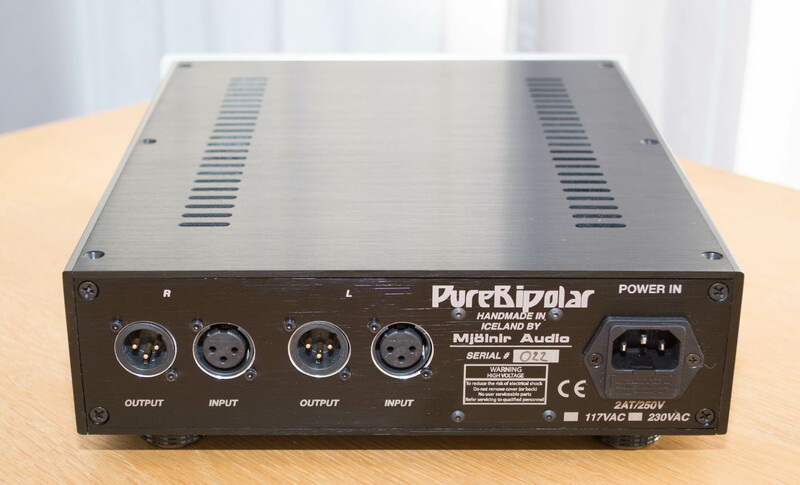 That’s why the amp has only one balanced output socket, it is always balanced. Other changes are higher rail voltages and higher Class A bias for more power. To power the amplifier modules it has my own version of the ultra stable GRLV (Gold Reference Low Voltage) power supply which is just about the best power supply we can design fed by an oversized transformer. 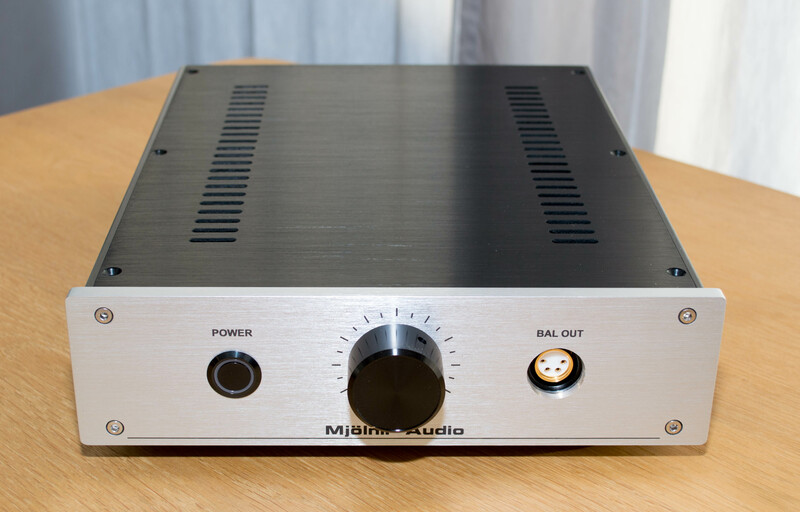 The end result of this is one of the best dynamic amps we’ve ever designed. It’s highly transparent and able to cope with even the most demanding loads. This should make some happy, I had some spare boards sitting around and made some new Squarewave amps. This is a play on an old SinglePower design but with the added benefit of it actually working as it should. Such a neat feature… 😉 Anyway, these were very well received when I built a batch of them more than a year ago and these are essentially identical except I’ve upgraded a few components as I had ran out of the ones used in the last batch. 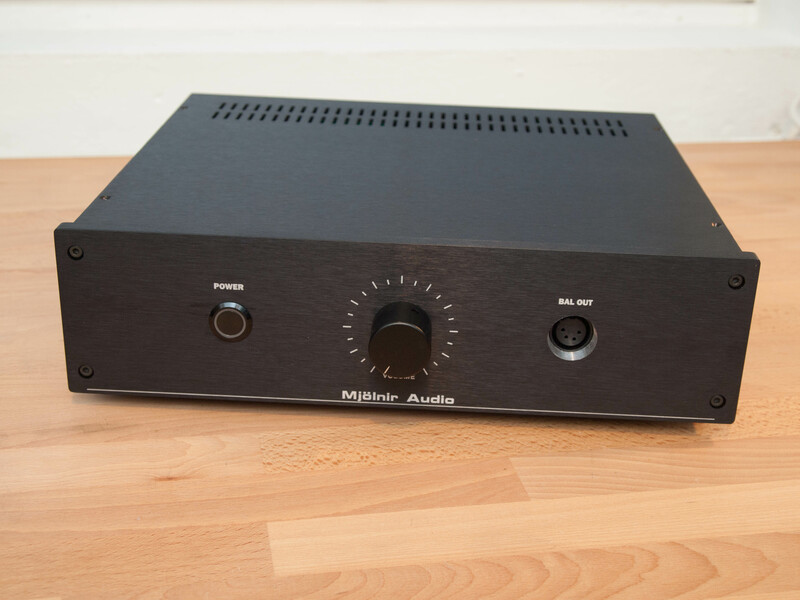 It’s a warm and pleasant sounding dynamic amp but with plenty of power for any reasonable load. Fully discrete design with matched jfet inputs and the rest are all bipolar. Fully DC coupled as well with a servo on the output to keep it all in check.